Chic Geek Diary: My baby is 1 tomorrow! My baby is 1 tomorrow! This very moment last year I was anxiously waiting to go down to the birth suite to have my waters broke. 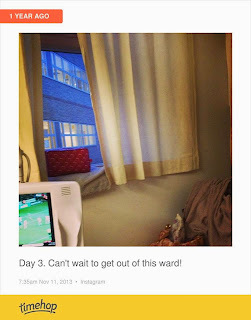 I had been in hospital for three days with my induction and had had 2 pessaries and 2 doses of gel in that time. The induction experience was a total nightmare but active labour was thankfully a different story. Anyway I won't go on, you can read about my birth story here if you want to know more. Fast forward a year and it's the night before Noah's first birthday and I feel really peculiar, I can't describe it. I feel totally overwhelmed and emotional and it doesn't really make sense why I feel this way. I'm so happy but my heart ache's too. I just can't believe it's been a year already, the year has flown by in the blink of an eye. It's been the best year of our lives and Noah has transformed every aspect of it. We love him so so much and are ever so proud of him. He is such a cheeky, funny boy that is so full of character. Deciding to have a child was simply the best decision we've ever made. This time last year I was hours before active labour, hours away from meeting my baby boy for the first time and now he's turning one in the morning! Wow.